** Most, but not all, sparingly soluble salts are essentially completely dissociated in saturated aqueous solution. 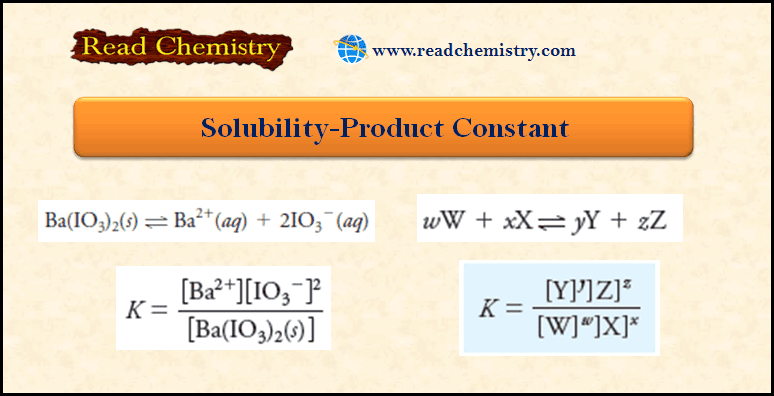 where the new constant is called the solubility-product constant or the solubility product. It is important to appreciate that Equation above shows that the position of this equilibrium is independent of the amount of Ba(IO3)2 as long as some solid is present. In other words, it does not matter whether the amount is a few milligrams or several grams. 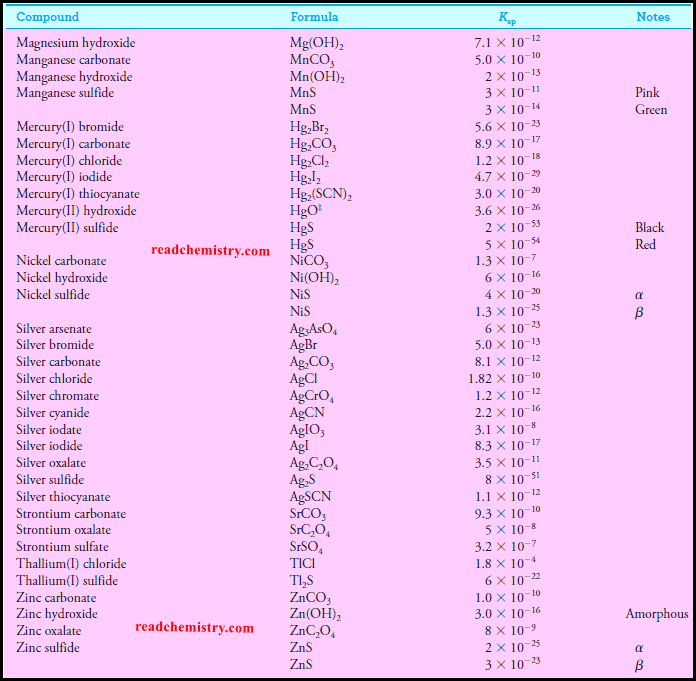 ** The examples that follow demonstrate some typical uses of solubility product expressions. With the solubility-product expression, we can calculate the solubility of a sparingly soluble substance that ionizes completely in water. Example (1): What mass (in grams) of Ba(IO3)2 (487 g/mol) can be dissolved in 500 mL of water at 25 °C? and is demonstrated by the following examples. Example (2): Calculate the molar solubility of Ba(IO3)2 in a solution that is 0.0200 M in Ba(NO3)2. ** If we compare this result with the solubility of barium iodate in pure water (Example 1), we see that the presence of a small concentration of the common ion has decreased the molar solubility of Ba(IO3)2 by a factor of about 5. Example (3): Calculate the solubility of Ba(IO3)2 in a solution prepared by mixing 200 mL of 0.0100 M Ba(IO3)2 with 100 mL of 0.100 M NaIO3. ** Since the provisional answer is nearly four orders of magnitude less than 0.0200 M, our approximation is justified, and the solution does not need further refinement. 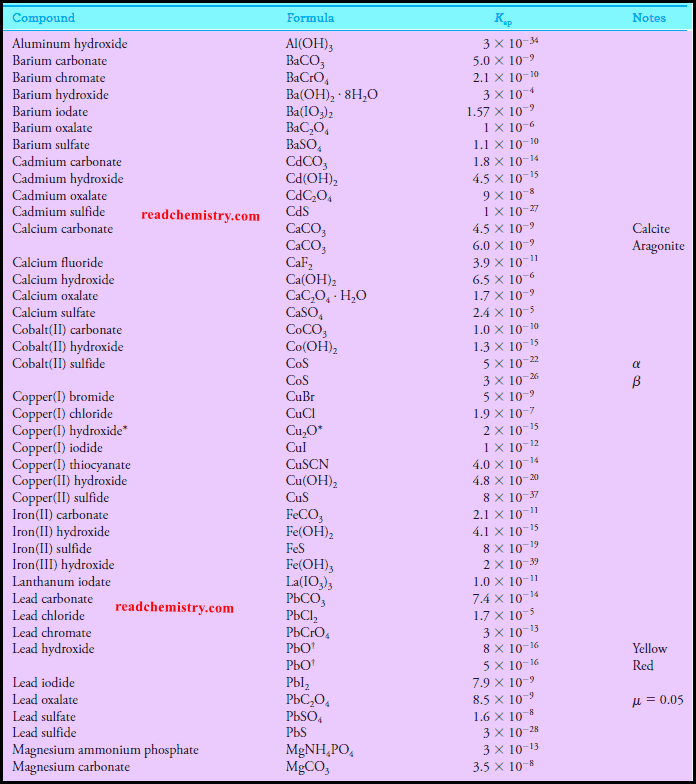 ** Notice that the results from the last two examples demonstrate that an excess of iodate ions is more effective in decreasing the solubility of Ba(IO3)2 than is the same excess of barium ions.